The gorgeous Anna Deluxe Vintage Inspired Bridal Hair Vine is brand new for 2013 and on trend it is! Vintage inspiration is here to stay for another year and the Anna Deluxe Hair Vine does it justice. 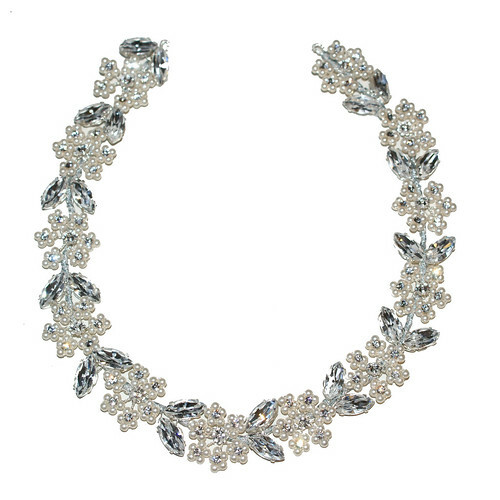 A mixture of small pearls and larger diamantes, this bridal hair vine will add glamour to any bridal hair style. This product was added to our catalog on February 05 Tuesday, 2013.